As a student of Chris for nearly 6 years all I have to say is that I’m am so grateful to be a student of his. His teaching has given me the tools to know how to be creative and convey what ever is in my own mind and emotion. Chris has a gift for teaching and has developed that gift for nearly thirty years. His method is advantageous for novice all the way to the professional. I expect being a student under him for years to come. More than I expected: I’ve been painting in watercolor and some oil for 30 years. I took the class to learn to use oils. I learned more in the 2 years I took Chris’ class than 6 years of art school I attended in the 60’s. He is the best at helping you to see. Congratulations on the awards you received recently from the Portrait Society of Atlanta. The painting is so moving and lovely. I’m delighted that you are enjoying painting now – what a gift for everyone! Also, good luck with your new move to Alpharetta. My son and his family live in Milton. He has a daughter, 14, who has some talent in art. I will tell them about your being near them and encourage her to take your class. As I have told you before, what I learned in your class has enriched my life far beyond what I ever expected. And the trips Jim and I shared with you, Jodette and your students were so much fun and very rewarding – taking us to places and seeing things in a way we would never have on the programmed sightseeing tours we usually took. Hopefully, I will be able to come out there for a workshop or one of your classes. I just wanted to wish you the best. Thanks to you and Jodette for making my life better!! You will learn to draw and paintShare: I began Chris’ class with absolutely no background in art, not even an art class in high school. In his class, I learned how to draw and about composition, color theory and nearly every oil painting technique. The class contains students at every skill level from beginner to advanced. Everyone is supportive and will help as you work your way through the exercises. Let’s be clear here. I do not have a natural talent for art. But you work at your own pace through a series of exercises. You can start with drawing or jump into painting. I began drawing first and cannot believe the progress I made; neither can my friends and family. Chris is passionate about teaching. He says that everyone will succeed in his program, and they do. I’ve been a student of Chris’ for 12 years. He’s the best in the region, if not the country! 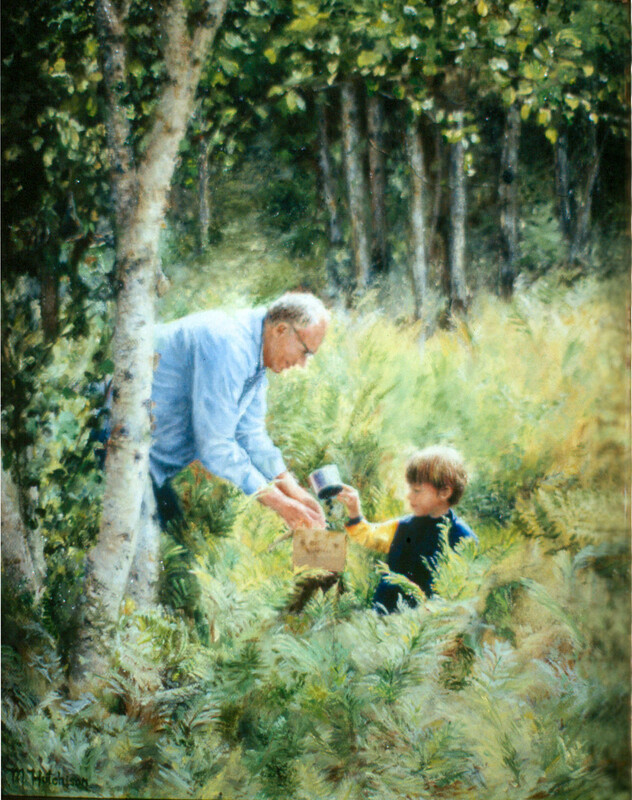 His teaching methods meld authentic procedures of the Old Masters with solid technique for any style. It’s a great plus that he always encourages getting in touch with the emotion being expressed in the work to more fully develop that facet of your artistic ability. His personal giftedness and extraordinary talent for teaching effectively is a great blessing to his students. Don’t look further. Sign up at di Domizio’s! — M.A. If you really want the best art classes in Atlanta, this is where you should go. Chris di Domizio knows art and is the best teacher around. 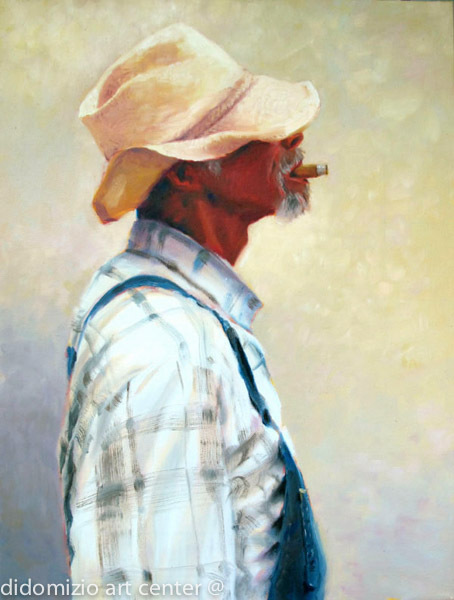 He has taught professional artists, other local art teachers including college teachers. Whether a beginner or professional you will learn. You start off learning concepts through drawing which prepare you for oil painting, the amount of time you spend drawing depends on your skill level. Don’t let the drawing part turn you away if you really just want to paint. You may think you already know how to draw, but believe me you WILL learn and before you know it, you will be oil painting. This is an on going class that you can continue going to for as long as you want, you will never stop learning. This class is the high light of my week! LOVE this art school! If you think this is arts and crafts, think again. If you are looking for instant gratification don’t sign up! BUT if you want to learn how to make beautiful art both technically and artistically then you should make the investment. I have previously wasted money on art “classes” that showed me how to put some paint on a canvas. The end results were flat and uninspiring. I soon quit painting because there was no satisfaction in it. I am so thankful that a friend told me about Old World Art. I used to hate to draw but now that I have learned how to do it correctly by working my way through the program of exercises, I love it! Even though I have gone through the entire program, both drawing and painting, I still come to class each week to continue to perfect my skills as well as hear Chris’s lectures. Chris continues to study and learn and is more than willing to pass along his knowledge. His commitment to the school and his students, as well as the promotion of classical art principles, has earned him my respect and gratitude. I have been an artist for many years and have taken classes from many teachers. Most teach how to use a specific medium or theory. DiDomizio’s Old World Art teaches how to make ART. Chris DiDomizio has taught me more about how to make every painting a success than any other program has. The initial studies were repetitive for me but I was able to complete them quickly and moved rapidly through the required exercises in a year. Even in those, I learned a lot about color theory and the use of art principles. We all learn from others and their successes or failures in the daily critiques. No matter what type of art you want to paint, Chris’s classes will make you a better artist. He will prepare you to make art you are proud of and know why it works to communicate your message. This is THE BEST ART SCHOOL in the whole Southeast! 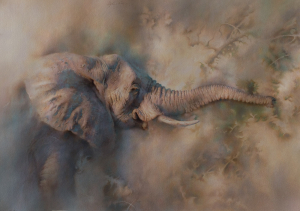 I saw an Artist work displayed in the prestigious South East Wildlife Exposition (SEWE) in Charleston years ago and was so amazed at her artwork. She said she was a student of the best art instructor ever Chris Di Domizio. I did my research online and was so impressed with what I saw. I packed my bag and headed to Atlanta to sign up for 8 weeks of classes. Since I live in Augusta, Ga. that is quite a commitment and commute for me. That was 31/2 years ago and I have never regretted it. Chris teaches with passion and he pours out tons of knowledge. The program that he has carefully designed to take the students through the steps of drawing, then on to oil painting are necessary for a person to learn to produce REAL art of their own and not just be a copy artist. If you want “instant art” then this is not the place to go. We learn the techniques and skills needed but we also learn to think like an artist and put our own feelings, soul and heart’s into our drawings and paintings. I spent 30 years trying to teach my self, take a few classes from other teachers and being a “monkey see, monkey do, monkey place the paint here” artist! I knew when I walked into Chris’s class that this was different! This was the real deal and not a “fast food type of paint it quick” studio. It is time-consuming but it is wonderful to be able to work at your own pace. I saw a strong foundation of skills being taught, repetitive instruction, wonderful lectures, photography classes, watercolor classes, and students growing and getting better and better each week. My family began to see a difference in me. The excitement, the enjoyment of really learning and being around such a large group of people as passionate and committed as I am. The excitement is contagious and it has changed my life. I know what, why and how to draw and paint now and I proceed with great confidence and new found knowledge that I didn’t have before my classes with Chris Di Domizio and watercolor teacher Dylan Scott Pierce. I have been a student in multiple art programs through the years from art colleges to individual artists. There has not been one instructor I have encountered that has spent more time and effort to help me learn the fundamentals of art, so I can truly learn to become an artist. The people that have continued in the program, paint beautifully and many end up doing commission pieces. It is true that you must learn to draw first, but now that I am painting, I truly appreciate that I had to develop that skill first so I could build on it. I am amazed at the level of my own paintings. Any teacher can give you a brush and let you start painting immediately, but only one that is dedicated to your long-term art goals would make you draw first, even at the risk of losing students, because he knows that you will benefit in the long run. Developing an eye and touch for art takes time. If you really want to learn about art, there is no better place than di Domizio’s Art Centre. What I discovered throughout those first few months was that it is about learning to make ART, not just about learning to execute with a particular medium. When I say ‘learning to make art,’ I mean two things here. First, learning techniques that will help you make your work look more realistic and direct the viewer around the composition. Second, you learn the perhaps more important skill of taking control of the message of your work, understanding how to take the tools at your disposal and use them to communicate emotion and the story behind the work. This is not something that comes easily or cheaply- you are developing so many things at once, and this learning journey is one of the most challenging I’ve ever been through (and I have an engineering degree from Ga Tech 🙂 ). I’ve been in the class for 3 years and can say that I’m not done learning everything Chris has to teach. I found Chris’s class after searching for years. I took watercolor and oil painting classes at my county art center, and even did some community education classes offered at SCAD. I always felt like they were a waste of money- at the end I didn’t know any more about color theory or even how to hold the brush or work with paints. In Chris’s class you learn how to use your tools professionally and practically from day one. Even though I thought I was good at drawing when I came into the class, my skill level now is a LOT higher, and I have sold some commissioned works. I know how to apply color theories, how to make objects look realistic, use different blending techniques and make the viewer move around my picture and figure out how to express myself in the work. This is the hard stuff- not the medium itself. That’s why I continue to pay him every two months, because there’s still more to learn. All that being said, this class isn’t for everyone. I don’t mean to say that some people can’t learn to paint, rather that it is a lot of hard work, and it can be easy to get frustrated – I have certainly had a few moments. It is definitely geared towards a long-term commitment, but the results can be spectacular. I feel like Chris gives you both the technical skills and creative discipline to take your work as far as you can go- many professional artists have come out of his class and I hope to be among them. Our 10 year old daughter has been in an afternoon drawing/painting class since school started this fall (1 full semester). We are more than pleased. Our daughter literally leaves class skipping, she enjoys it so much. Her instructor is wonderful, and has helped our daughter create some remarkable paintings and drawings. Her work has included pencil (grays and colors) drawings and oil and acrylic painting. She has really been inspired and asked for her own easel, canvases and acrylic paints for Christmas. We look forward to continuing in this marvelous program. After searching for an art class, and attending classes that I found useless to me, I found Chris’s classes 3 ½ years ago. I am so glad I did! Chris equips his students with the techniques needed to make them artists. Because the classes are “self paced” the amount of time required before a student paints is up to the student, not the teacher. The techniques taught in the drawing exercises strengthen the skills of the painter……how can you handle a paint brush if you can’t handle a pencil? This may not be the easiest class but the success of its students speaks to its value. If you want to learn how to express yourself artistically, Chris di Domizio’s Art Center is the place to go. I have taken art classes in Georgia and several other states, from colleges, art centers and workshops. The logical, comprehensive program presented by Chris and his staff is not the same thing that you have heard from your other art teachers. This program can really work for you, whether you possess a great talent, or just a great desire to create art that expresses your view of the world. I have been studying at di Domizio’s Art Centre for over a year and a half. During that time, my understanding, appreciation, and skill with my pursuit my art has increased immeasurably. Chris is an authentically gifted artist and teacher. He presents his program with a series of exercises, each building upon the last. His desire is for all of his students to succeed and take their art to their highest possible level. Like anything worth learning, it takes time and effort, and one should expect triumphs as well as frustrations. This is an amazing program. I have been coming on and off through the years and can tell you this program from my first class until now has done everything I needed it to do for me. I am a very slow learner, that said, I have also been able to sell paintings for up to $15K because of the principals this teacher instills into every lesson. It takes as long as you want to get what you need from this class. The time you take is up to you. I wanted to like what I paint when I look at my finished products and Thanks to Chris I do normally like what I see when I complete a painting. I will return for more classes although I have completed the program there is no reason to ever stop. He even offers open studio which gives you an opportunity to paint along side other artists for a small fee. I can not say enough positive about this class. The class is always full of artists from all walks of life, everyone is welcome. I have a very good eye for art and can honestly say Chris is doing a very good job teaching what he has learned through the years, there is allot of great art coming from his students. You will not find this to be a paint it in a day kind of a class, he is actually teaching his students how to make art, not junk that winds up on the shelf at the Goodwill. I can honestly say when you know more what you are doing, you will like what you are painting. After reading some of the less than positive comments it becomes obvious there are people looking for a quick fix to learning how to paint. To become a Doctor, you don’t go for quickie classes and get a practice full of happy patients. If you want to go forward with the desire to make beautiful art, this is the only school in our area that will actually teach you what you need to know to develop your practice in academic art. If you’ve never drawn or painted before, this is the place to start. Chris knows art and he knows how to teach it. If you think you know art, come here and you’ll learn how to take your skills and talent to the next level. I’ve taken classes and workshops from some very fine instructors, but Chris is hands-down the best. Color workshop was unbelievable. It felt like a semester of college color study rolled into one day. I hope you are resting your voice today. Thanks for the support. The workshop yesterday was an eye-opener for me. I’ve studied art, off and on, my whole life, including years learning from Marc Chatov, a native Atlantan who learned his craft from his Russian father and uncle ( you may know him). I’ve done a lot of painting, some of it good. I also have a BFA from UGA. But somehow I missed a good, decent color theory course. So I’ve always mixed colors more or less by the seat of my pants. It’s exhausting and unsatisfying. Thanks to the years of research, observation and practical experience you’ve put into the subject, I think I finally see a way to understand color and consciously make choices that work. By the way, I think you’ve got an excellent book in the making. Please keep refining your material and get it to a publisher! I’ve received all emails pertaining to the workshop, thank you. I will see you tomorrow at 10:00. Chris is an incredible teacher. He has such talent, and his patience is comforting. A great man whose art instruction I would recommend to anyone and everyone. I have experienced many art classes and I believe Chris to be one of the best teachers in the country. It is a step by step process with each exercise building on top of each other. With each exercise you learn a new concept. It makes it easier learning in the beginning with drawing, then when you do your first oil painting you have less to think about. I have now almost completed the program, well into oil painting, I feel that I really have a great understanding of what I am doing and how to make art without just copying a photo. I am painting at a higher level than I ever dreamed. After many years, I continue to enjoy the learning process at Di Domizio Arts Center. This is a class for someone who really wants to learn about art in a classical (Old World) tradition. If you want to up the level of your art, this is the place. It is a building process of skills. You need to know, practice, and show your skill before you can even try to do the next skill. This takes time. You can jump straight to painting, but you will regret not taking the time to learn the basics in pencil. I know that in some European studios, you don’t touch paint for a year; you are just drawing plaster cast of heads all day. Once you know these techniques you can then apply them to your own paintings. Look at the masters of modern art, music, and architecture; their knowledge of the classics allowed them to what today we call modern. Chris’s class is worth the effort if you really want to raise the level of your art. You can find other art classes, but few, if any have the eye that he has for offering constructive criticism. On a recent trip to NY to review John Singer Sargent’s paintings, even the curator stopped to take notes. So if you like the images on his website, just know that came out of doing the steps necessary to make art; and it takes time. I’ve taken two 8-week drawing sessions and I’ve loved every minute. I didn’t just study drawing – but I understand ART now. I understand composition, color, shading, feeling, technique… I recommend the classes here to everyone that wants to take art seriously. I will continue to sign up for every session I can! You aren’t just learning how to draw, you’re learning how to create a masterpiece. These techniques will stay with you for ANY medium you use in the future. Who should sign up? People that want to create ART and want to become an artist. This isn’t a casual “Sips n Strokes”, “Dip n Dab”, “Cork n Canvas” or *insert cheesy, alliteration heavy name here* where you’re there just to socialize and drink wine. This is a class for dedicated wannabe/current artists that want to learn to think like an artist… and sell their art for lots of money (because they do). Scroll down and see how many (5 stars!) reviews are hidden under the non-recommended review area. Around 29 at the time I wrote this review. And they’re all real reviews. The instructor is really that good, however hard it is for the review algorithm to believe.I gave 4 stars because all the 5-star reviews are blocked and I didn’t want my review to be hidden.Take a look at the students’ art- that says it all. Sign up before the classes fill up! Thank you, Amy, from one teacher to another who understands how hard it can be to help people reach their goals. Different than any other art schools I’ve been in. The program is excellent for both adults and children. Thank you for your kind words, coming from a nonrepresental artist that means a lot to me. I believe art is about learning tools to speak a language and is applicable to all types of art, Thanks again Jen. I am currently taking a drawing class with Chris. He is clearly highly knowledgeable on the subjects of drawing techniques , painting techniques, color theory, and composition. Not only does Chris have the knowledge and experience as an artist, but he is passionate about teaching. I am fairly new to his studio and am looking forward to improving my skills under his teaching. Give him a call and you’ll understand – highly skilled and passionate about his students’ successes. Just wondering why all the reviews are not showing on Yelp. If you scroll down you will see tons of 5 star reviews from people that have really enjoyed this art studio. I am currently taking class here and can’t say enough wonderful things about it. I would definitely give 5 stars but it I am scared it will be hidden along with the other ones. I started this class without any knowledge or talent. Chris is able to teach in a way that I can understand and be successful. He explains things in detail and continues to explain them until you get the concept. He is invested in the success of his students. I feel privileged to be in his class. Art is something that I have always wanted to do but was too scared to try. So grateful I found Chris DiDomizio’s studio. Chris is a wonderful art teacher, and I have learned so much about the skills and talents that go into creating a true artist from him. I completed advanced painting and art history classes at a major university in 2004: I thought I was good both at understanding how to create an excellent painting and recognizing why artists are recognized as great. I was wrong. With Chris, you develop the skills you need through drawing exercises that directly relate to how you paint. When you paint, you learn by studying and copying the masters in addition to creating personal art. In his presentations, you learn what to look for in the masters. In addition to the classes – which are definitely worth the cost – you can join him and his wife on visits to art galleries, for plein air sketching and painting, and for live model sessions at no cost. He also takes groups to Italy to study and paint! As a result, several students in my classes are now painting commissioned portraits. Many are exhibited in galleries. Chris is unique and very much worth your time and effort!! Without repeating everything Amy G. said, let me say that I agree with every word. I studied under Chris for 8 years. Then, because of life’s circumstances, I took a break from art. I wish I never had. I am back now and Chris is better than ever! And that is saying a lot! He is an incredibly gifted artist and teacher. Over my life, I have studied art from numerous people, but there is no one like Chris. At my first class years ago, I heard him say that all one needs to paint very well is desire. That is true! Skill can be developed with the right teacher. And Chris is that teacher. If you are new and want to paint, I suggest that you submit to the discipline of learning to draw. It is the foundation to good painting. Chris teaches the principles of art that are fundamental to becoming an excellent artist. If you are serious about art, I suggest you look no further than Chris diDomizio. This is one of the greatest art classes that I have taken. I have a painting professionally for 20 years and I have learned more in his class than any other class I have taken. If you have a desire to learn about art and really understand what you are doing and why this is where you need to learn. Chris is extremely helpful and informative while helping you understand what you and other artists are doing and why. There is a real education happening here, not just putting down paint on a canvas. You actually learn how to make your own individual paintings, and he pushes you to improve with everything you do. He gives you the tools to be really successful if you choose. Plus, it is a fun and relaxed atmosphere. So I feel qualified to give a review of a fantastic artist and his art school. This is a true Art School. Chris teaches how to make real art! How to express your ideas and feelings into a painting and discusses daily what is ART! When I started with Chris, I had never taken any art classes. I had never drawn anything. I have completed several drawings that surprised me. I never thought I would be able to complete professional looking drawings that made me proud. I have. Chris teaches classical art instruction. I learned about values, measuring, and perspective among other things. I took art classes at several locations in Atlanta prior to this. This is the ONLY class that gave me tools and skills that improved my work. Chris is an excellent art teacher. If you are interested in drawing or oil painting, this is where you want to be. 37. Sadie J. – 5 Stars – Atlanta, GA. When I started art classes with Chris, I looked at his students’ paintings and thought these are beyond what I can even imagine to do. However, I don’t know how he did his magic, I learned to paint in their level after a couple of years. He is an amazing teacher who explains all the details through examples and through his unique teaching skill. He is also personally very kind who generously shares his knowledge with others. Without his encouragements, accurate critics and kindness it was impossible for me to be where I am now with my artworks. In my previous review, I shared how valuable I feel Chris diDomizzio’s classes are. 6 years later, I feel this even more strongly, if that is possible. Chris is one of the most passionate and knowledgeable teachers I have ever met! His goal is to make his artists successful at developing her/his talent. With the knowledge, he shares he also does all he can to assist students, like me, overcome their fear of failure and become successful. This is the best art school for people who really want to learn to draw and paint. As other reviewers have said, this is not a class where you just put some paint on a canvas and go home feeling “creative”. It is a structured curriculum that has trained many, many accomplished artists. But in addition to building real skills, Chris never loses sight of the importance of communicating a message with art. I have learned so much from Chris. I never thought I could draw and paint like I can now. Chris breaks down the steps and makes drawing then painting make sense. His color theory is the best I have seen. His knowledge and experience are the best in the art world. He has added abstract painting to his offering which has been very fun. I never knew how to use all the different types of medium. I was afraid to try. He and Jodette hold your hand and have done all the experimenting and vetting. I have taken art classes in several places around town and have found this studio to be the best at breaking down the drawing and painting process in doable steps. This center is for the person who is willing to put in a little bit of work on the front end so their paintings some months down the road will showcase their talent. This is not Sip and Stroke or even a community art class as Chris really will ask you to be patient and take your time learning the basics. I will be camping out here for a while. So much fun! Individualized instruction and encouragement. Go at your own pace. Chris teaches technique, shares knowledge; he has an absolute willingness to share information (many artists don’t). He’s a truly good person, too. A seriously talented artist and teacher, but fun and entertaining. All levels can learn a ton! It’s also helpful to be surrounded by so many artists at different levels. Dive in! I have been taking lessons from Chris di Domizio since 2005. I started out very new and have learned so much through the years. I still have so much to learn from Chris as he is constantly studying art and passes on the new information to his students. I highly recommend this art studio to anyone from the very beginning level to the professional that would like to take their art to the next level. I have studied under Chris diDomizio for several years now. I had never had any instruction in art, and under his patient direction, I have learned more than I dreamed possible. In his classes, each person works at his/her own speed. In a class of 25 people, there are new and seasoned students, all working at their own level. The quality of work Chris leads his students to achieve is impressive. I recommend this art school especially to people who always wanted to study art but have never taken the time to do so. I have been an art student at diDomizio Arts Center for about a year. It has been my best art instruction experience ever. I have studied art before, with several other teachers in well-known studios…. and this by far has advanced my skills more than any other class. It is a very self-paced course. Some folks breeze through, and others might be on the same assignment for a lengthy period of time. It is all about the energy we put into it! It takes a lot of patience…but the results are extra-ordinary! The class is structured on specific exercises. When you accomplish the task, you move forward. I appreciate the dedication that Chris DiDomizio applies to his class preparation. I’ve watched my fellow art student colleagues have the same experience. This level of training is near impossible to find. It’s an answer to prayer that I found this school. Chris works closely with each student. I’m very impressed and enjoying the class. It is a great value. To learn how to paint at the level that he teaches at, would take years elsewhere. I highly recommend this school. If you want to learn how to express yourself artistically, Chris di Domizio’s Art Center is the place to go. I have taken art classes in Georgia and several other states, from colleges, art centers, and workshops. The logical, comprehensive program presented by Chris and his staff is not the same thing that you have heard from your other art teachers. This program can really work for you, whether you possess a great talent, or just a great desire to create art that expresses your view of the world. I have loved every minute of my classes from Chris. He is a true inspiration. If you want to learn how to paint and draw at a high level you must start at the beginning and learn the basics. If you have the desire and want to create art this is the class for you. You don’t need any kind of formal artist training. Everyone learns at their own pace. Wonderful place to learn from a real master. His knowledge of art is remarkable.His artistic skills are fantastic. His paintings move me. Chris teaches with passion and he pours out tons of knowledge. The program that he has carefully designed to take the students through the steps of drawing, then on to oil painting is necessary for a person to learn to produce REAL art of their own and not just be a copy artist. If you want “instant art” then this is not the place to go. We learn the techniques and skills needed but we also learn to think like an artist and put our own feelings, soul and heart are into our drawings and paintings. I spent 30 years trying to teach my self, take a few classes from other teachers and being a “monkey see, monkey does, monkey place the paint here” artist! I knew when I walked into Chris’s class that this was different! This was the real deal and not a “fast food type of paint it quick” studio. It is time-consuming but it is wonderful to be able to work at your own pace. I saw a strong foundation of skills being taught, repetitive instruction, wonderful lectures, photography classes, watercolor classes, and students growing and getting better and better each week. No matter what type of art you want to paint, Chirs’s classes will make you a better artist. He will prepare you to make art you are proud of and know why it works to communicate your message. I started out years ago at the University in the Fine Arts Program, it was not comparable to the intensive training and teaching that I have had under Chris DiDomizio at Old World Art. I appreciate the mathematical approach to using foundational building blocks in art. The principles, combined with a heartfelt message (the story), have completely transformed my artwork and my life. I began with Chris, as a complete beginner, a year ago – I struck gold. This course is not one of those frustrating “just do it” types; its the “here’s how you do it, why, and here’s what happens when you do” type class where Chris leads by example. And my results in such a short time attest to the fact that Chris’s approach really works. These classes with Chris are truly rewarding and enjoyable experiences. Success comes most often from a willingness to learn basic principles and practice their application. Talent makes this easier for some. Desire makes it possible for everyone. Chris gives students at any level the knowledge they need and techniques to apply this knowledge. Chris’ program separates the creation of ART from ‘Copying’ something you see. He has increased my self-confidence, introduced me to new ideas and techniques and improved my work. Chris DiDomizio is an amazing teacher. I drive over an hour a day to get to his class several times a week. The instruction is worth it! I began classes after retiring from medicine and never imagined I’d be training for a second career as an artist! I had absolutely zero experience in drawing and painting. I was, however, a good listener and had a strong desire to learn. I truly believe, after 5 years of training with Chris, that I can paint anything and paint it well. Chris provides the same high-quality instruction students receive at any fine art educational institution. I am extremely pleased with the progress I have made in his class over the past 1.5 years. I have seen how both the drawing and oil painting program exercises have improved my artwork, as I have been able to translate the technical skills I’ve learned to my personal projects. Chris emphasizes classical training but also encourages to develop their own artistic voice. It’s amazing to see the results of taking art classes with Chris diDomizio; I would never have thought I was capable of producing the quality work that he has trained me to do. Each step of Chris’s program builds on the previous one and ultimately leads his students to create more than a realistic drawing or painting, they create art! HIGHLY recommend this studio! Learn what the art schools don’t teach! – I graduated from college with a minor in Art and a few commissioned portraits under my belt. I learned the basics of art in college, but Chris teaches it all on another level. The art schools tend to focus on painting what you FEEL…Chris teaches you the rules to great art and applying them to achieve the message or the mood. Once you complete the exercises, you’ve learned the rules…and when you can break them. After about a year and a half of classes with Chris, I quit my corporate job and now make a living as a commission-based painter! I completed all the exercises required for the program, but I will continue classes with Chris as long as I live here. I’ve now been in his classes for six years, and every week I feel like I’m learning something new. Learn about different color theories, creating an S-curve, figure-ground relationships, working on and off the form, achieving more contrast closer to you and less further away…the list goes on! Whether you “can’t draw a stick-figure” or you have years of formal art training under your belt, I can’t express enough how much you’ll learn from Chris! Drawing and Painting: The Masters’ Way – Chris knows art. He is also a fine teacher who is determined to convey the principles of art through students’ exercises, through demonstrations, and through illustrated lessons. He strives to bring out the best in his students, and when a work is completed, the student feels that he or she has produced something fine and feels a real sense of accomplishment. Both artists and would-be artists benefit from his program. Eight years ago I walked into Chris’ class of very advanced artists. I did not even know what cobalt blue was. Now I have a highly skilled technique and success in producing good artwork. You are encouraged, not only by Chris’ lectures and teaching but also by all of the superb work and artist that surround you. Best art teacher in Atlanta and the region – Chris DiDomizio is one of God’s most gifted artists. You won’t find anyone more knowledgeable or more skilled in this area. His techniques are unsurpassed. Be ready to work hard, but be ready for a most rewarding experience. Sign up! He’s amazing — and the community of students is wonderful. The Best way to Learn how to Paint – Chris DiDomizio has changed the way I paint and think about my work. I have painted professionally for years and sold quite a lot of work during that time. But I felt that my art was missing “something”. I couldn’t figure out what it was. I can capture realism with any subject or medium I used, but that wasn’t enough. Then while I was at an art show, I heard about a teacher in town that taught some great art classes. I thought I was past that , so did not follow up on it until much later. Now, I feel like I lost valuable time by not signing up sooner. Immediately, my work improved. Beginning with pencils and drawing techniques which I still put into place with my work, I learned about so many ways to THINK about what I was trying to say with that particular image. What was my message? Why did I choose that subject to paint? How can I accomplish that message? I also learned about soft edges, contrast, moods in brush strokes, all things that I had learned in college but never really got it. Even if you have painted for years, you will learn a lot with his class. I get great comments on my work now, especially since I have started using glazing techniques, so I recommend his class to anyone interested in learning about art and how to paint. Learn how to create and to appreciate art – Take a class from Chris and you will not only learn how to draw and how to paint, you will never look at art the same way again. If you are willing to put in the time and to follow the program, you will learn how to create art. Chris’ program takes you from the basics – how to hold the pencil- to the complex – how to create the effect you want through color theory and placement of dark and light. You will also learn how to interpret what other artists are trying to tell you. Chris teaches you how to really see art – to appreciate the message the artist is trying to communicate – to enjoy the old and new masters in a new and satisfying way. Drop by and see what is created in his classroom. You will be convinced. He brings the undiscovered talent out of you! – Several years ago I bought a do-it-yourself watercolor painting kit and was astonished that my creation didn’t look at all like the example! Well, I needed to learn to draw. A friend referred me to Chris’ classes. He called to interview me and wanted to know if I was teachable, dependable and not flakey. At first, I was a little indignant about being interviewed by someone I’d be paying for classes! I got over it quickly. With his instruction, I drew something that was recognizable in my first class. I was hooked! I lived in Atlanta for 9 years. Unfortunately, I didn’t find Chris until my last year there. I continue to use the techniques I learned from Chris. The training was like nothing I’d ever received. If he has room for you in the studio, GO! The classes are VERY reasonably priced – in fact you might even think they’re cheap, but the price of the classes is NOT a reflection of the quality of education you’ll receive from Chris. Treat yourself. Listen to what he says and DO IT. You won’t be disappointed. Classical Atelier Training Facility… – I thought I was going to have to move out of state in order to find the type of classical training I have been searching for in developing painting/drawing skills like that of the old masters. I lucked into finding Old World Art classes about 6 months ago and I can’t believe how fortunate I am that something like this is available in the Atlanta market!!! I am happy with my progress and love that Chris moves everyone at their own pace. I have minimal art education and that seems to have worked to my benefit. There are many students in the class who have advanced degrees in art and yet have never learned many of the techniques that Chris teaches. Actually, before I committed to signing up with Chris-I visited his facility. I was blown away by the student’s paintings-I’ve never seen so much talent under one roof …and all because of their training with Chris. Many of his long time students earn a living at their art and several have gone off to exhibit in museums around the world. It’s also not uncommon for students to travel out of state in order to study with Chris…I’m so fortunate to have his facility in my own backyard! You can’t find a better art teacher than Chris DiDomizio – I have wanted to draw and paint my entire life, but never once pursued that desire. I was too intimidated because I knew I didn’t have any talent. A friend of mine encouraged me to take a class with her under the instruction of Chris DiDomizio. That was one of the best decisions I have ever made. Chris gives you the tools to be successful in his class. He not only guides you, he teaches you how to think. It is a wonderful program. Thank you Chris! Excellent instructor – DiDomizio is not only an inspirational artist but also a refined instructor who is always looking for ways to better his teaching method. It’s great for beginners or skilled artists. No matter what your skill level is, his teaching method will build your technique and understanding of how you can bring everything you’ve learned together to create art. It is also a very pleasant, relaxing atmosphere with some fun conversation to listen to! Greatest Art Instructor – In 65 years I’ve had good art teachers, but Chris is by far the best instructor one could ask for. Chris explains how to mix your colors correctly and the results are vibrant and lively colors. You begin to see things in a way that helps you to produce works of art to be proud of. The use of color next to color that shows the contrast, the mood, the expression, helps make anyone a professional artist. The increase of knowing how to show the values correctly in one’s work is worth it all!! Using professional paints, instead of students, has helped me to achieve the brilliant and true colors I’ve always wanted to paint with. The application of glazing brings such an excellence to anyone’s work that you will wonder what you did without it. The terms of checkerboarding [light and dark next to one another] begin to make sense; learning about terminal points that give your work the dimensions you need; the wonders of putting soft and hard edges where they need to be will make a Master artist out of you. 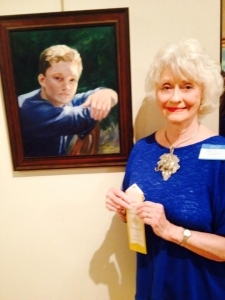 I was showing my artwork at an art show in Carrollton, 3 years ago, where I met Sonia Reid, a Wildlife Artist, and she recommended Chris’ art school to me and it has changed my art work that I had only dreamt about. I look forward to many more classes with Chris and the other art students. Classy Art Class – I find the Art Class of Chris DiDomizio to be instructional, stimulating, and growth-oriented. He is a master of drawing, painting, and photography. Recently, he organized a fantastic trip to Bellagio and Venice, Italy. It was an artist’s dream to experience this trip, as well as enjoy the group that Chris had assembled from our classes. Chris has added a new dimension to my life and works, as an aspiring artist. Best art class in the Atlanta Area – I’ve taken several other art classes in Atlanta, and have found that Chris DiDomizio teaches everything I want to learn about drawing, composition, color, and the expressive qualities of art. I’ve been pleased and surprised at how much I’ve improved. For an expert, comprehensive art class, this is the place to go. Best Teacher in Atlanta – Skilled Teacher!! Awesome WOW! Do you wish to be a painter? Here is where to start learning! Chris starts from the beginning teaching how to draw, showing how to mix paints, copying old masters, talking about “what is ART!” He is a fabulous teacher— Atlanta is lucky to have him!! DiDomizio Art’s Center is the place to learn to draw and paint in Atlanta! – After studying under Chris for over three years, I learned more from him than I did as a studio art major in college. He offers practical, understandable principles founded in the tradition of old master artists that help students find success in his studio. I am indebted to Chris for giving me the tools I needed to become a professional portrait painter. “HOW TO ” draw and paint – This teacher can teach anyone (even beginners) to draw and paint if they are willing to learn. This is not a “pay your fee then do your own thing” class. I have been to several colleges and universities, and I was a certified art teacher, but I learned so much at this class!